Feel the atmosphere of the oldest monastery in Poland! Lasting almost a whole week Grundtvig Workshop that was held in the Benedictine Abbey in Tyniec, Krakow has ended. The whole stay was in opinion of all the participants undoubtedly an unforgettable experience. The basic aim of the organizers was to present the monastic life in the Abbey, founded in 1044, in a possibly broad and interesting way. The participants, coming from different European countries (among others from Bulgaria, Spain in the south of Europe and Finland, Lithuania and Estonia in the northern part of the continent) were supposed to learn the history and the culture of the monastic medieval world. Obviously, there was no possibility to avoid making at least some superficial comparisons to the contemporary condition. 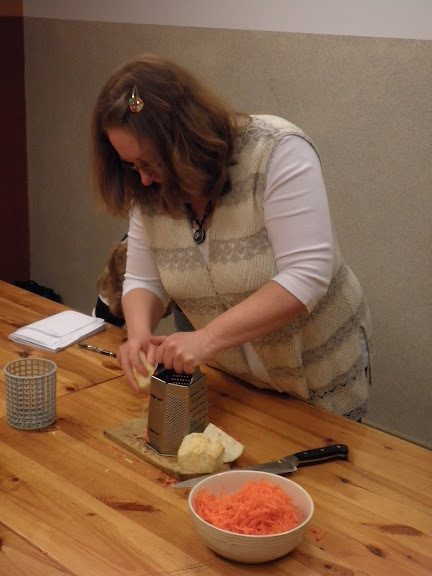 According to previously scheduled conceptions each day was devoted to other discipline or topic. On Monday there was the time to reconnoiter by our guests within monastery walls. One of the monks has thoroughly presented the history of the Benedictine order and Tyniec Abbey story enrolled in it. 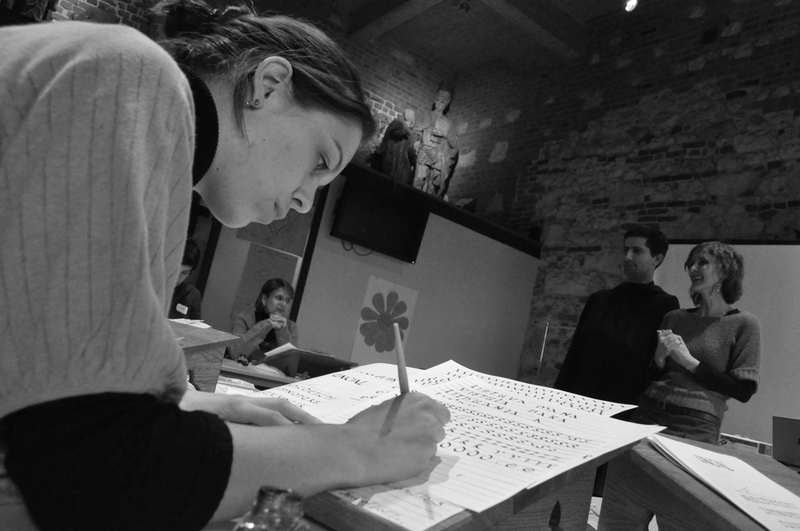 The following day the participants occupied the newly reconstructed scriptorium exercising their patience and finally successfully becoming medieval scribes. Wednesday was the day that might be called “a day of singing”. Father Abbot Bernard has tried to show in framework of the philosophical and theological composition all the nuances and subtleties of the Gregorian Chant, that daily enriches the liturgy in the monastery. Of course, our guests could have to some extent improved their vocal skills and some even have discovered their musical interests at all. 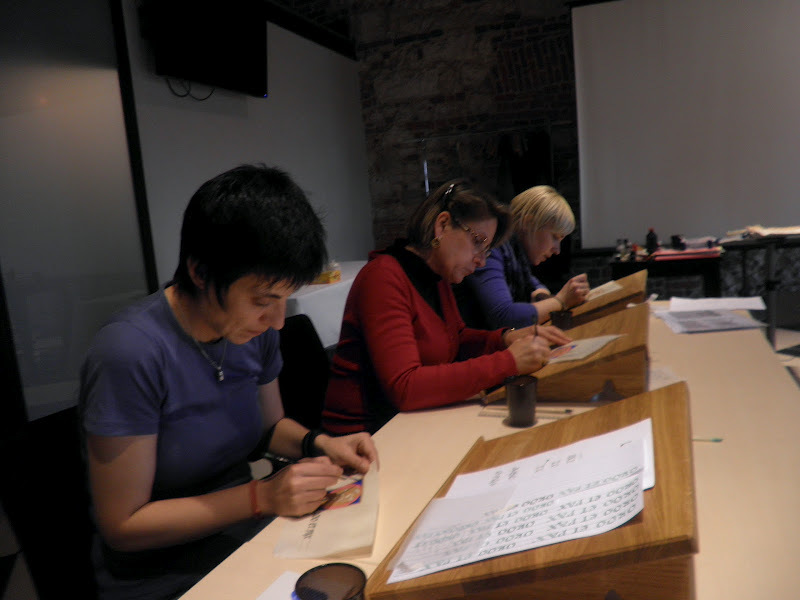 During the day that followed our monastic scriptorium was again possessed by the Grundtvig Workshop participants. 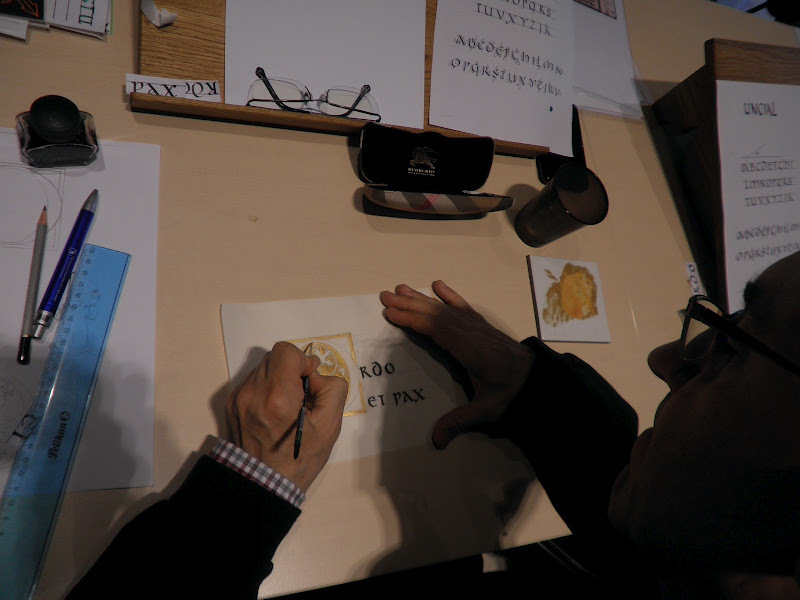 This time they were creating with success highly ornamented illuminations. 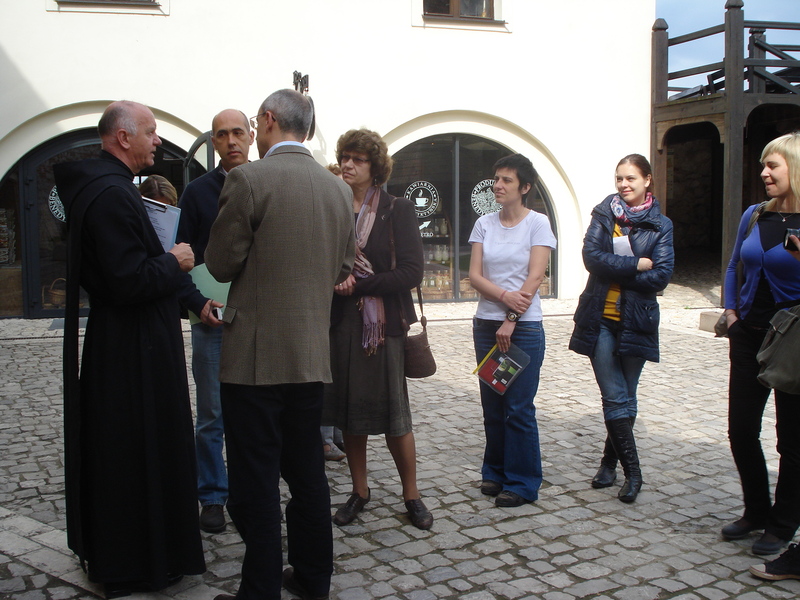 Friday was a special tour-day with an excursion to the Benedictine Nuns Abbey in Staniatki in the nearby of Krakow. All the guests were deeply touched by the hospitality of nuns, and the academic level of the lecture of Sr. M. Borkowska OSB. The last day there was a possibility to sum up all the experiences and impressions, and afternoon there was a trip to Krakow Old Town. Although it was raining the whole afternoon all the participants and organizers could truly joyfully finish the Workshop tasting delicious Polish plates in one of the habitants’ favourite restaurants. 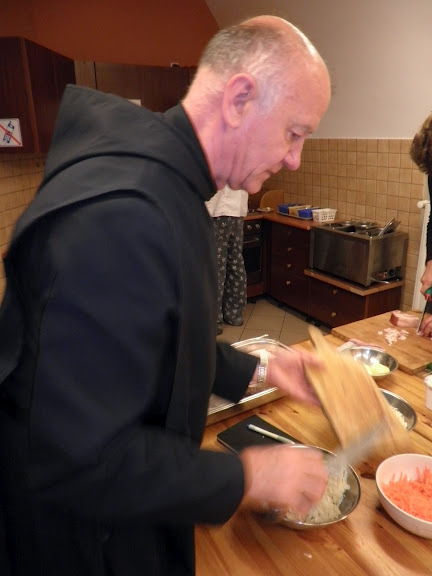 Apart from planned events our guests had the opportunity to participate in the life of monks. Two men from Spain dined with the monks in monastic refectory, having been at the beginning surprised the rush-pace of their eating. The whole group could as well attend in all liturgical hours in the church, admiring truly angelic voices of the monks performing the Gregorian Chant. Some of the participants even showed up already at 6 a.m. beginning each day with the community of Benedicitine brethren. There was as well the unique possibility to make a conversation with monks, but the most impressive from the point of view of the organizers was such an unbelievably good and inspiring atmosphere within this multicultural group of persons coming from different parts of Europe and having completely various beliefs and attitude toward God. Tyniec Abbey and Grundtvig Workshop that was held here have connected all of them. discover the fascinating world of medieval scriptorium – the legislative history of manuscripts, letters styles, and the basis of calligraphy, the basic techniques of medieval illumination, etc. The workshop is free of charge!!! Application till 15th of February 2012 !!! *Polish citizens are eligible to participate in the workshop but cannot be funded by Grundtvig Programme.